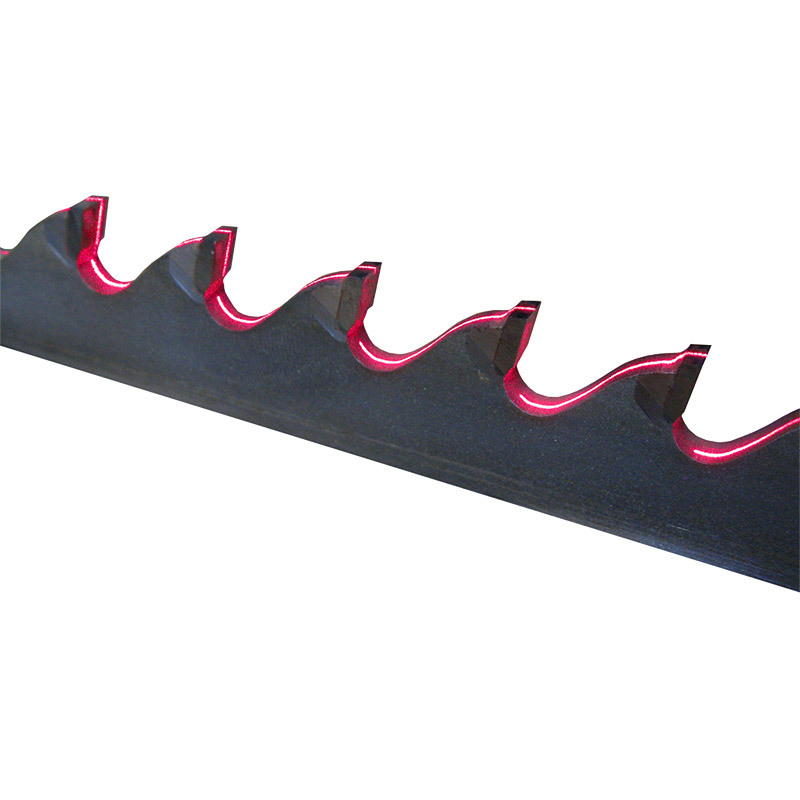 Whether in a linear arrangement or a saw blade, saw teeth are used for cutting materials. Due to increasing demands for reproducible production results, saw teeth must fulfill the highest quality standards. The reproducible form of the saw teeth, which are often hardened, is therefore critical. The scanCONTROL 2960-100 laser profile scanner is tilted above the strip to continuously inspect the angle of the cut and the maximum points of the saw tooth edges.